SEO (Search Engine Optimization) is extremely important for attracting traffic to your website, especially for startups with a small money bucket. You might ask, “Why should a busy CEO care about SEO? I already have a bunch of critical work to do.” Here you go. Here is a quick list of what SEO can perform and the results. Actually not all CEOs have a marketing or SEO background, so they might not either understand the really important role of SEO or leverage it at a strategic level. But SEO is not just SEO; it’s also related to product/mobile, social media, content and, most importantly, company positioning or competitive advantage. These things are out of the control of an SEO Manager or even a Chief Marketing Officer. SEO is even more important for startups than for corporates as it doesn’t cost much (if you know how to do it). And it’s even more critical for e-commerce startups than for new businesses in other fields. Traffic from SEO usually has a very good conversion rate, and it’s always in the Top 3 most effective traffic sources. I would say SEO could also stand for “Sales Effect Optimization”. 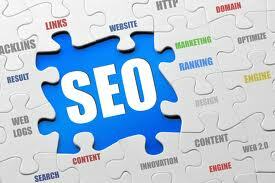 Of course, as a CEO you should be involved in creating a good SEO strategy in both the planning and execution phases. To achieve a top result in Google/Bing/Yahoo, the main search engines, company positioning should be focused on a niche market. This niche market would be a scope in which your company would potentially become Number One. This would probably be achieved by leveraging all of the founders’ strengths, avoiding powerful existing players, and successfully predicting future trends and opportunities. There is no SEO expert in the world who can help you reach Number One in the search engine result pages if you don’t already have a significant position in the field. If you don’t want to rely so much on Google, a good place to sharpen your firm’s strategy is by discovering Google’s philosophy . Not many SEO experts can think at a strategic level so they don’t worry much about what Google really cares about. No matter how Google’s algorithms are changed, they surely follow the founders’ perspectives. As I already mentioned above, SEO is related to social media, website/mobile user interface and speed, content strategy, PR, partnerships… So without a CEO understanding and connecting role, an SEO Manager is hardly going to perform to his best level of expertise. This is also the reason while SEOMoz, a world leading SEO platform, has been changed to Moz, focusing on Inbound Marketing to cover all the angles that SEO should do. As it needs to be involved on both strategic and execution levels, an SEO strategy should be prepared while the CEO/Founder is preparing to start up the business. The next stage is finding a good domain name, then preparing for website/mobile’s URL structure and localization planning. Finally there is the marketing strategy, person in charge and co-operating across teams. Recruit a good SEO guy with social media and content knowledge in mind. Localize product content and marketing team. SEOMoz Link Analytics Tool: track how many websites are linking to yours. Marketing in Asia – How to spy your competitors in 5seconds?